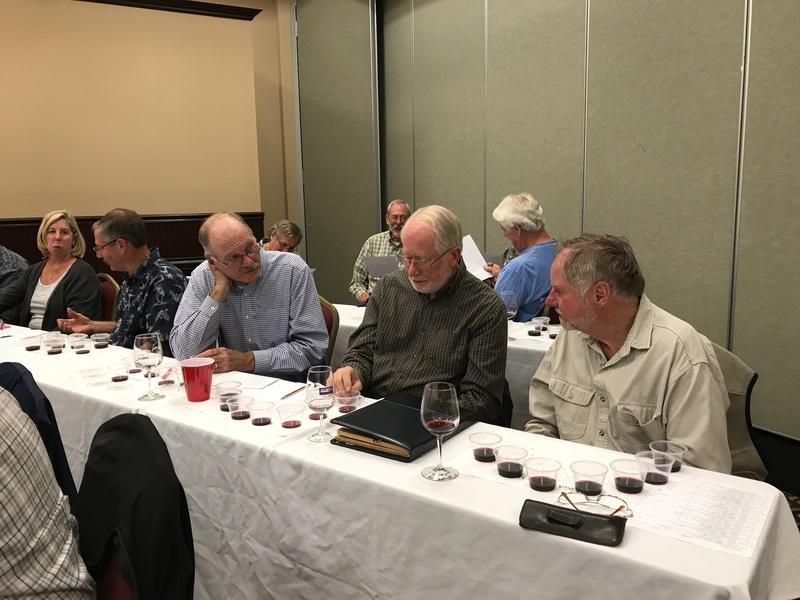 The SWGGA Group Zinfandel Project – You be the judge! 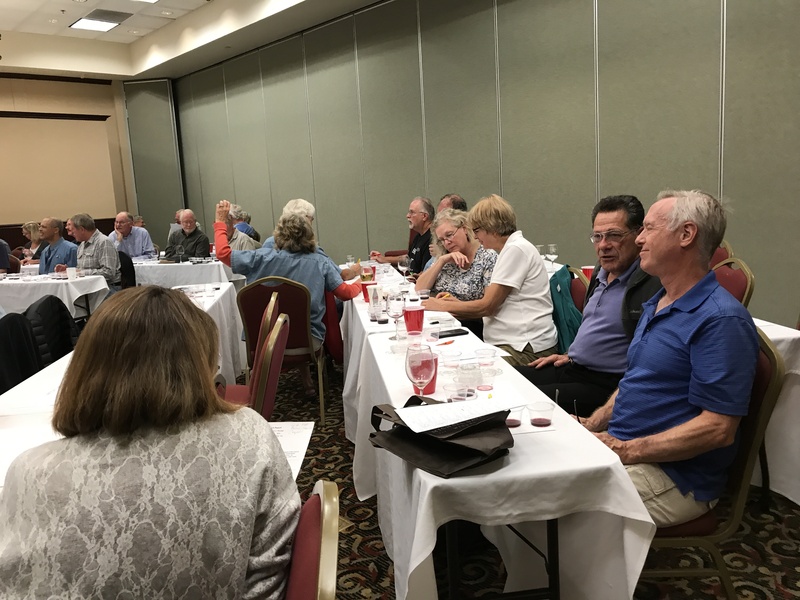 This meeting featured samples of the wines produced by our members in the Group Zinfandel Project, where in 2014 we purchased Zinfandel grapes from a commercial grower in Eldorado County. 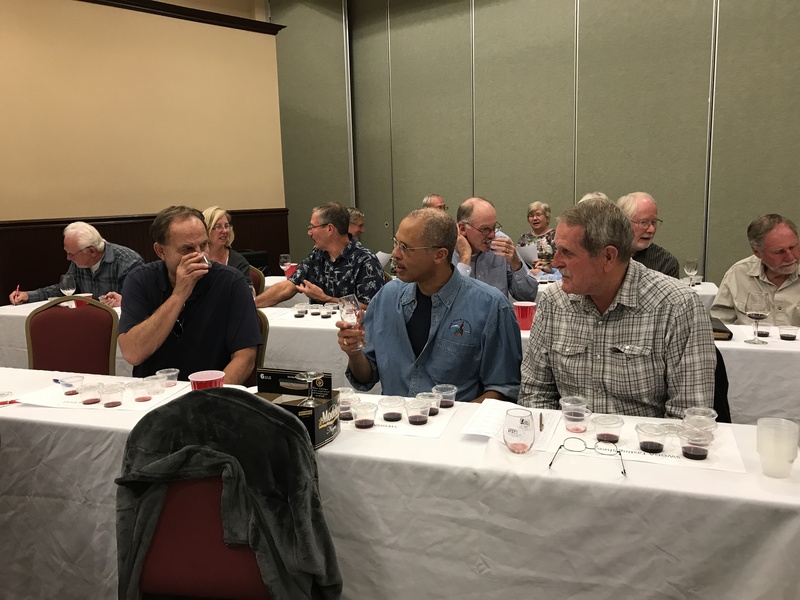 Each winemaker then took their crushed grapes home and performed their own “vintners magic” to make the best wine that they could. 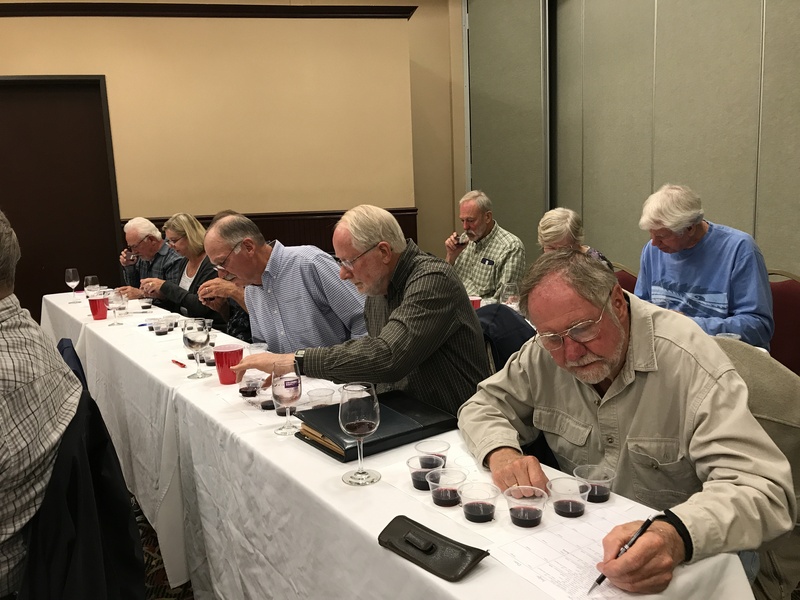 While we had a previous tasting at a prior meeting, this gave the membership a chance to evaluate the wines when they are reasonably mature. 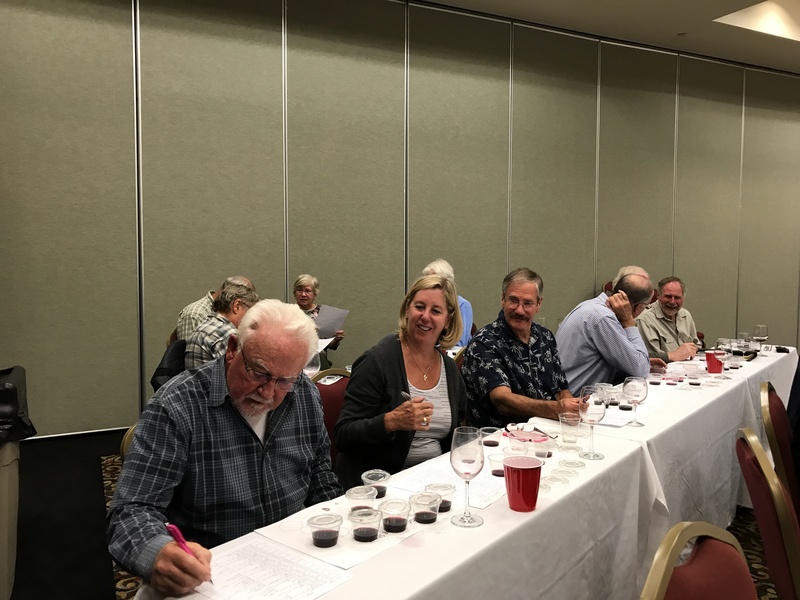 Our members grouped themselves into panels of three judges for the tasting, and tasted the wines as a tasting panel would. We had the same score sheets as Rod Byers uses at the Nevada County Fair. 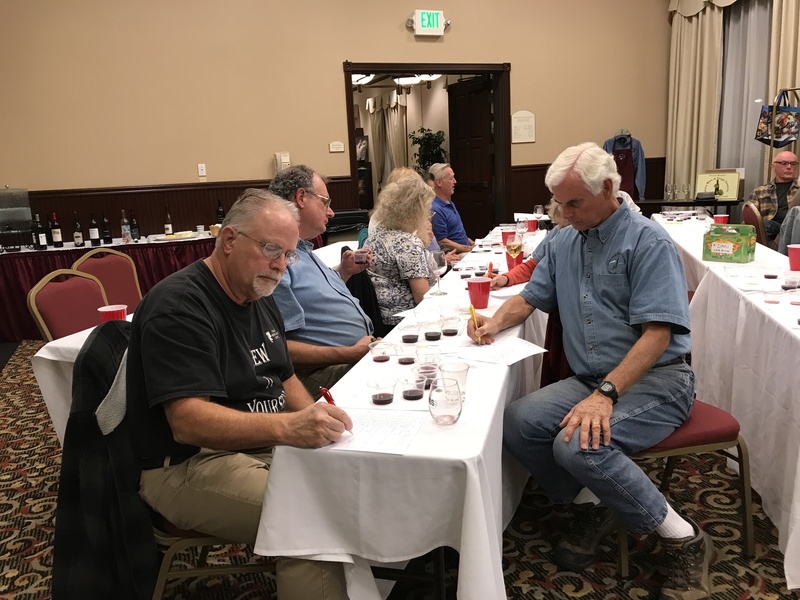 It was a great way to taste a lot on very nice Zins, as well as learn how the wine judging process works. 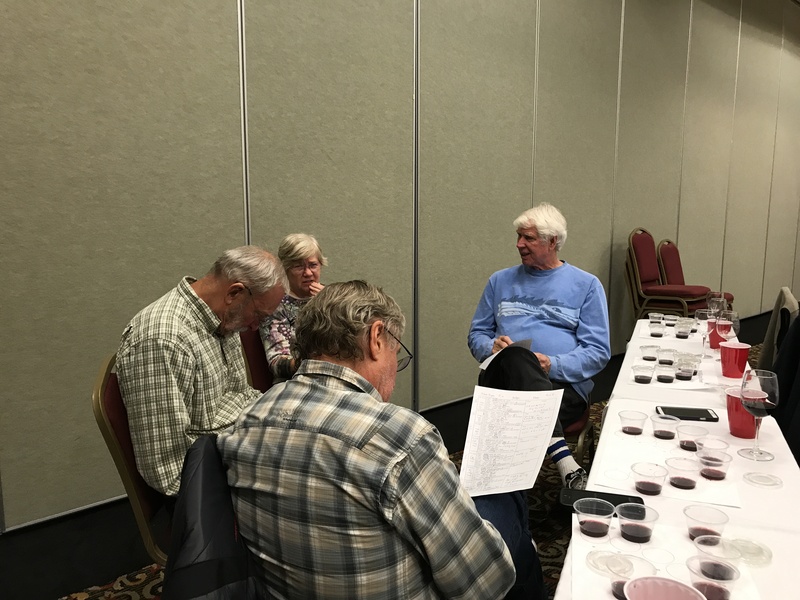 Special thanks to Dan Carrick who organized the Group Zinfandel Project. 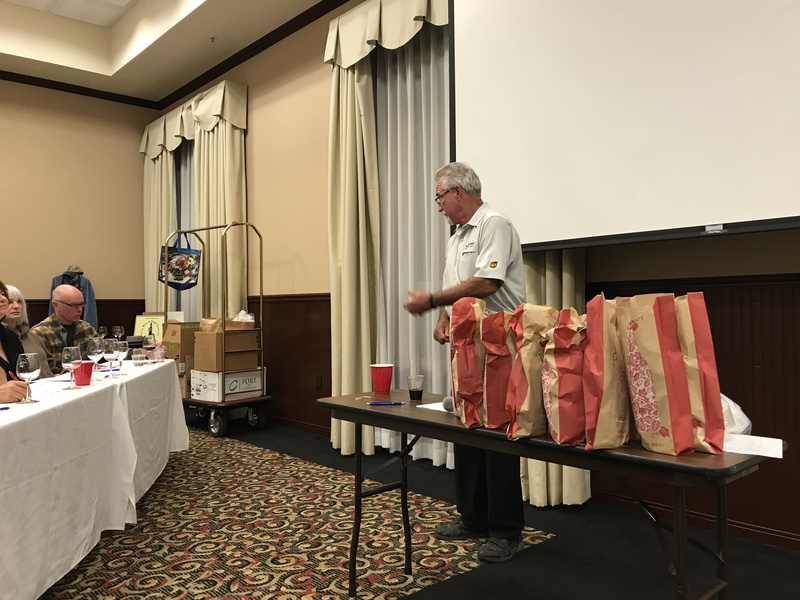 Special thanks to Program Coordinator Dave Elliott and to his UPS Store (Grass Valley) which sponsored the meeting.